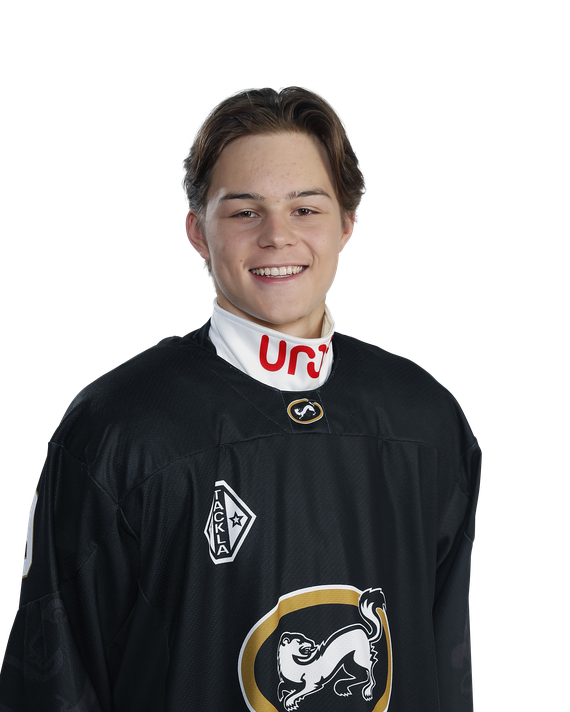 The 18-year-old had a goal and otherwise a strong game as a center of Kärpät’s second line. He also played in the first PP unit. Kupari was poised with the puck and had multiple successful entries to the offensive zone. The Finn doesn’t hesitate with the puck but he occasionally delayed the pass after an entry. In the first period, Kupari forced the opponent to take a penalty after a takeaway and a quick turnover in the o-zone. He was active while back checking and kept the gap tight. He was strong near the boards with or without the puck. Kupari has definitely polished his overall passing game and puck control. The Finn creates space for himself by small but quick strides. He has an ability to bring up an extra gear for some shifts. Kupari has a very good situational awareness and he makes simple plays under the pressure. The 18-year-old truly shined when he opened the scoring for Kärpät. He had the puck below the goal line, carried the puck all over to the slot and scored from the point with a wrister. It was a strong individual effort that showcased his game-breaking skill and ability to quickly turn a situation to a dangerous scoring chance. Overall, Kupari is very well suited for the game pace in Liiga. In a 2-1 loss, he was one of the flashiest players for Kärpät. Kupari had a good performance on Kärpät third line in a 3-2 overtime loss to HIFK. He got 12 minutes and 54 seconds of ice-time and registered four shots on goal. He managed to display a lot of puck skill on a few occasions through impressive stickhandling. He forechecked really well in his first shift of the game to cause a dangerous turnover. He also showcased pretty good smarts, both with and without the puck. What truly stood out most about Kupari was his skating ability. His acceleration, agility, edge work and transition skating all are at an elite level for a player of his age. His top speed is also remarkably good. Kupari has the potential to develop into an excellent skater at the NHL level, one who can make a great impact with his speed in all three zones. I think he’s a very safe bet to selected in the first round of the draft. Kupari played 16,5 minutes in a game against Espoo United and got one assist. However he was also -2 in this game and one of the goals came directly after he lost the possession of the puck. Kupari is a flashy player. His fantastic skill level is easy to notice because he likes to dangle and carry the puck. His passing game is not on the level of his stickhandling and he could try to play simpler game. Anyway he has all the skills required to become really efficient player if he can adjust to the pro game. There’s a lot to like with his work ethic. He checks efficiently, helps defense and makes a lot of smart plays off the puck. As expected, his physical side is still incomplete and he gets easily off balance. However he is above average skater and he was already one of the quickest players on ice. Kupari had a phenomenal game with two goals and three assists. He dominated the ice with his skills, smarts, skating and even won pretty much all his physical battles as well. Kupari’s point totals could have been even higher had his linemates buried a few more of the chances he offered them. If there were any doubts about Kupari being a potential first round draft pick next summer, these kind of games will surely change a lot of minds. Kupari looked really comfortable as a winger on the first line playing alongside Joni Ikonen and Kristian Vesalainen. His powerful skating, strong hockey sense and work ethic stood out. Kupari used his speed in all three zones to make an impact. He also displayed strong edge work and acceleration. A really smart, responsible player, he always seems to be in the position to help his team. He worked hard away from the puck and applied pressure on the puck carrier. He also showed flashes of skill today. This observer has been following his development closely over the past two seasons. He’s always had the smarts and skating to become a really good pro. Now that his offensive game and confidence have started to come along, there’s no doubt in my mind that Kupari could be one of the first Finns selected in the 2018 NHL Draft. Kupari, who usually plays at center, played on the second line as a left wing today. He has really good hockey sense and offensive instincts. He plays a smart defensive game, taking away time from defensemen effectively and intercepting plays. He combines smart decision making with solid puck skills. He shows a high work ethic and he gets up and down the ice with good speed. He has good quickness in his first three strides. There’s a lot to like about his versatility and ability to make an impact at both ends of the ice. Kupari will garner a lot of interest heading into the 2018 NHL Draft. Kupari played an impressive game against Tappara. Center played solid two-way game and he was able to play effective checking game in all zones. His positioning was sound, he was able to make some takeaways and was able to cut passes. But the most impressive part of Kupari’s game is his offensive skills. Forward looked extremely confident with the puck and he was able to make effective dekes and he created multiple scoring chances. However Kupari still has frame to fill up and he could go to the dirty areas more often as he currently relies maybe too much on his stickhandling skills. But on the positive side, his skating looks really smooth already and he has an above average top speed. At the moment Kupari seems to be one of the most interesting Finns for the 2018 NHL Draft.